The Awakening – from Pisces to Aquarius (or vice versa). Astrology & Art: “The Awakening” sculpture in astrogeography. The sculpture depicts the process of materialization and awakening (Aquarius) from the common unconscious (Pisces) to individualization through its placement in the combination of these two “extraterrestrian signs”. At the same time in the context of the position on the first degrees of Aquarius the sign of rebellion and reconnection it depicts the attempt of self-liberation from being trapped, stuck, suppressed, enslaved, blocked by the demands of earthly life, rules and regulations just after after leaving the realms of obligations and impediments (Capricorn) behind. “The Awakening” is 21 m statue of a giant embedded in the earth, struggling to free himself. 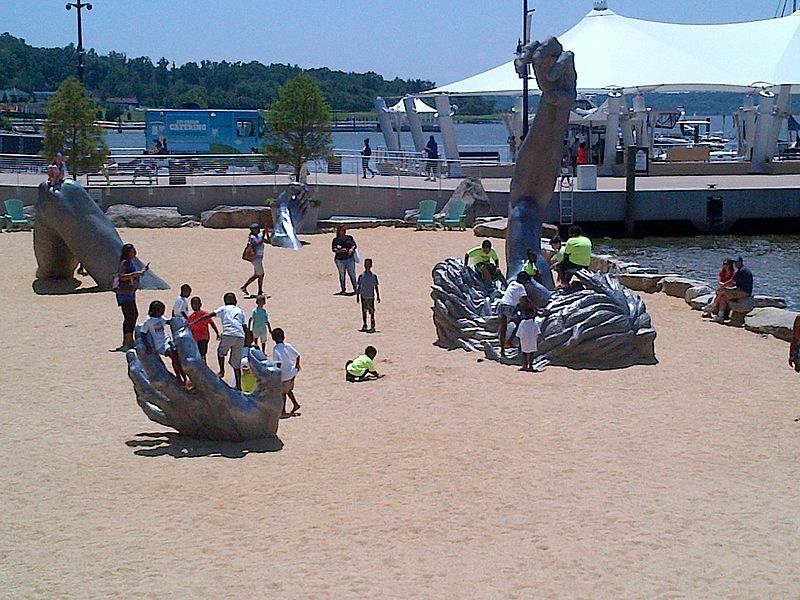 It is located at National Harbor in Prince George’s County, Maryland. 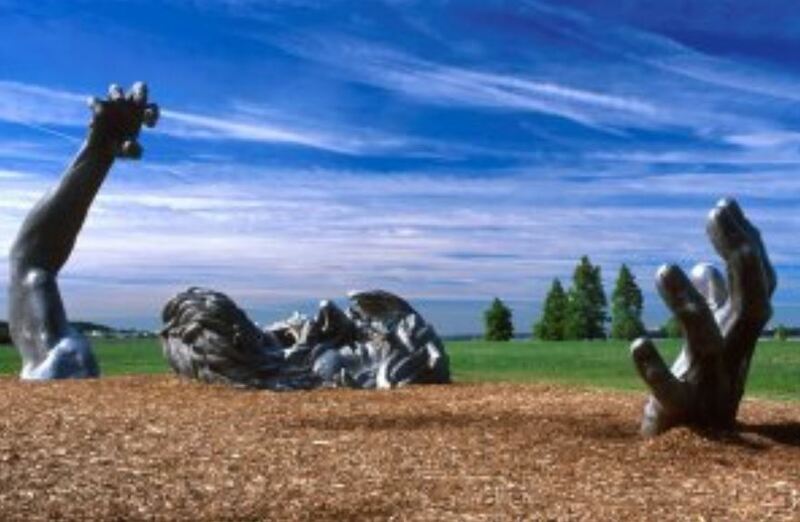 The statue consists of five separate aluminum pieces buried in the ground, giving the impression of a distressed giant attempting to free himself from the ground with his mouth mid-scream. The sculpture was created by J. Seward Johnson (born 16 April 1930) in 1980. The sculpture depicts a giant stuck in between the appearance of his individual form and being part of the larger body of the whole of the earth. Although entitled “Awakening” the depicted situation that the creature is in does not make clear wether it will be capable of rising (Aquarius) in the future or it will be drowning in the ground or the nearby sea. The 2nd coordinate lies in highly imaginative, mystical water sign Pisces the sign of the sea, drowning, dreaming, illusion, imagination, the invisible and spiritual plane, temples, fairy tales, mythology, entertainment, the otherworld, unknown and unconscious, intoxication, coma and deep sleep states. The position in Pisces could also resonate with the possiblity of the drowning of the giant. Through the bearded face and monumental design the giant may best be interpreted as an allusion to the Titans in greek mythology. The Titans – originally children of Gaia and Uranos were banned by the Olympian gods into the Tartaros – the greek underworld. 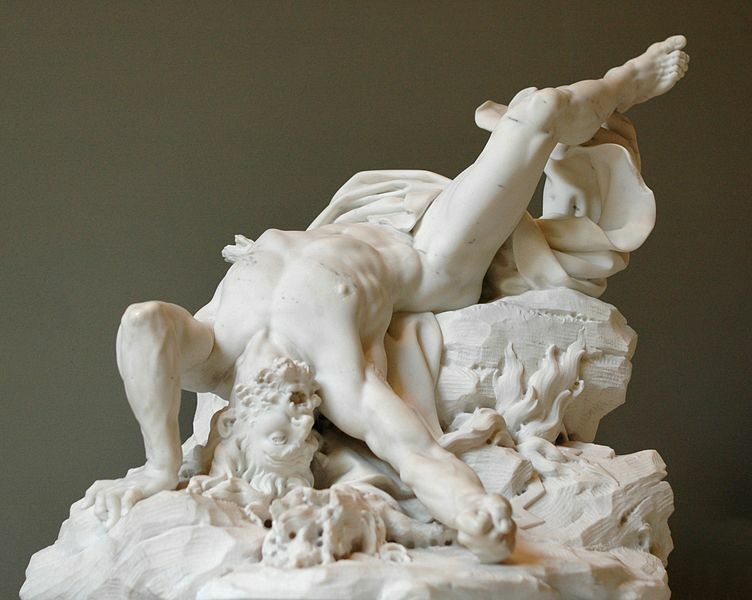 There is a fascinating analogy in the interpretation of the Titans mentioned by classical scholar and linguist Jane Ellen Harrison who according to the wiki article “asserts that the word “Titan” comes from the Greek τίτανος, signifying white “earth, clay, or gypsum,” and that the Titans were “white clay men”, or men covered by white clay or gypsum dust in their rituals.” in: Prolegomena to the study of Greek religion. In my conclusion from astrogeographical field study the astrological symbolism of the white colour and gypsum as such are to be understood as clear analogies of earth sign Capricorn. Compare my article: Capricorn and the White Desert. The analogy of white colour and gypsum sands with Titans and with earth sign Capricorn delivers fascinating insight into the traditional mythological knowledge behind the history and legends of the giants. And through the analogical parallel also to the state from which the rising (or drowning) giant or titan is conceived to have been “awakening”.